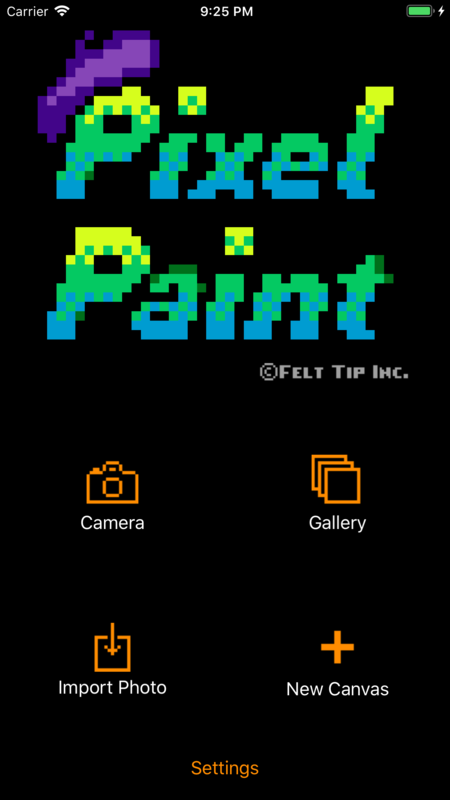 The 8-bit paint program with retro camera modes for iPhone, iPad, and iPod touch. 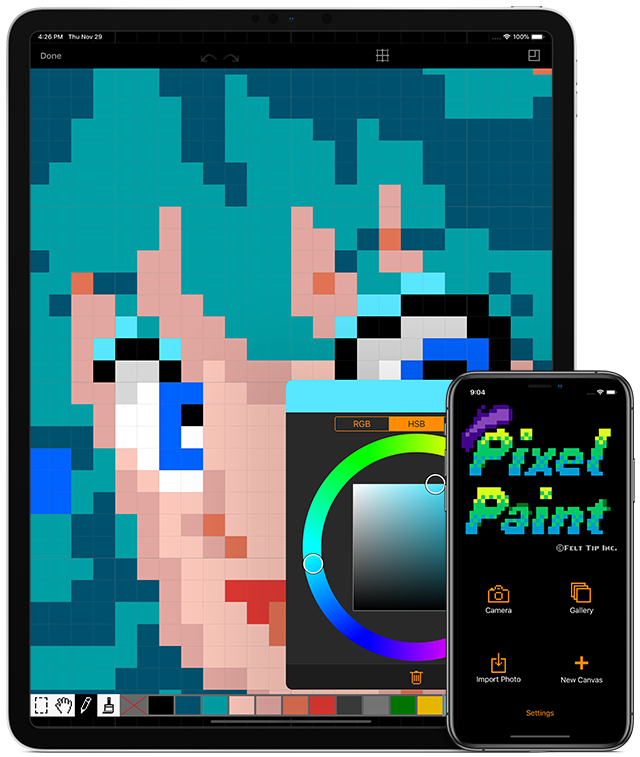 Pixel Paint is a free pixel art app where you can create and save up to five images in the Gallery and sync via iCloud across your devices. 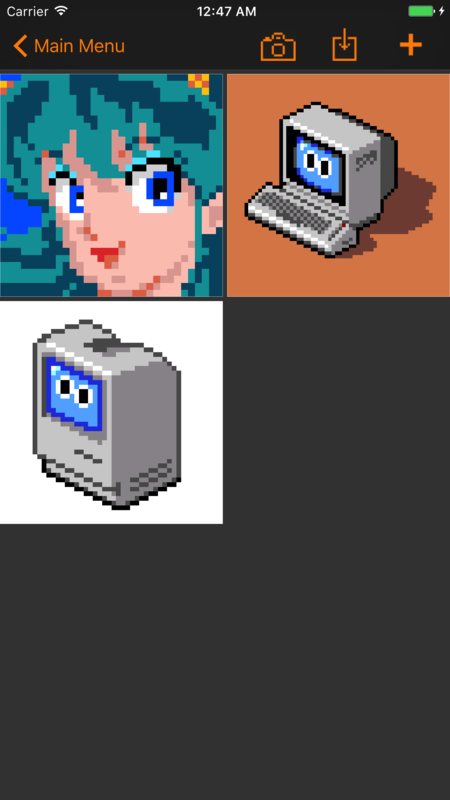 Unlock all features with one purchase: Save as many images as can fit in memory, import and save photos in retro game system modes, export all images as PNG files inside a Zip file, backup and restore all images in your Gallery. 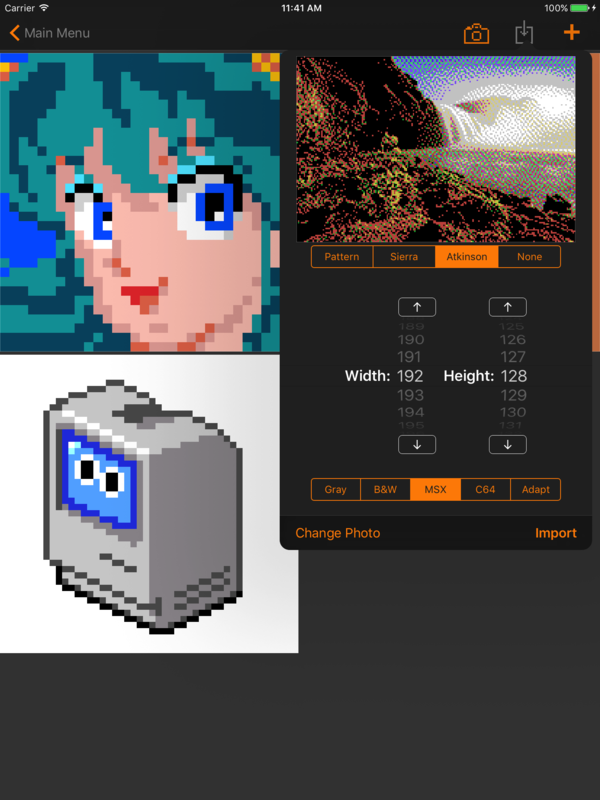 Image editor and customizable canvas sizes. 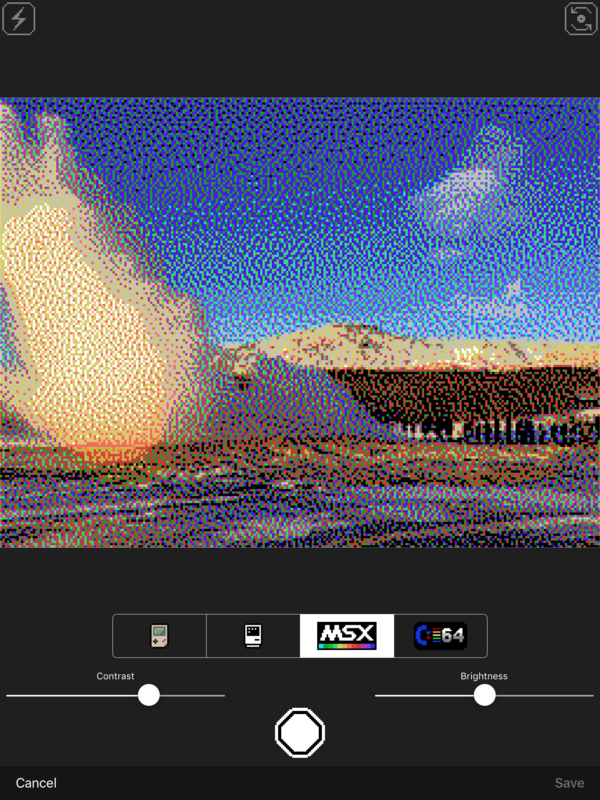 Pan and zoom up close to place each pixel with precision. Editing tools include four brush sizes, a hand tool, bucket fill, and a selection tool to cut, copy, paste, move, or fill. 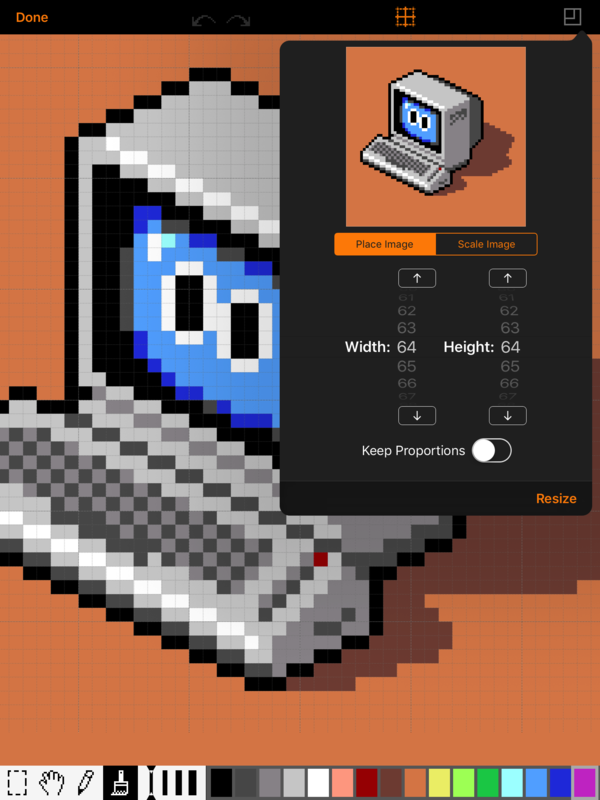 Customize your canvas dimensions and create images up to 256 x 256 pixels in size. Import pictures from your Photos app. Draw fun blocky monsters! Paint a sweeping landscape! 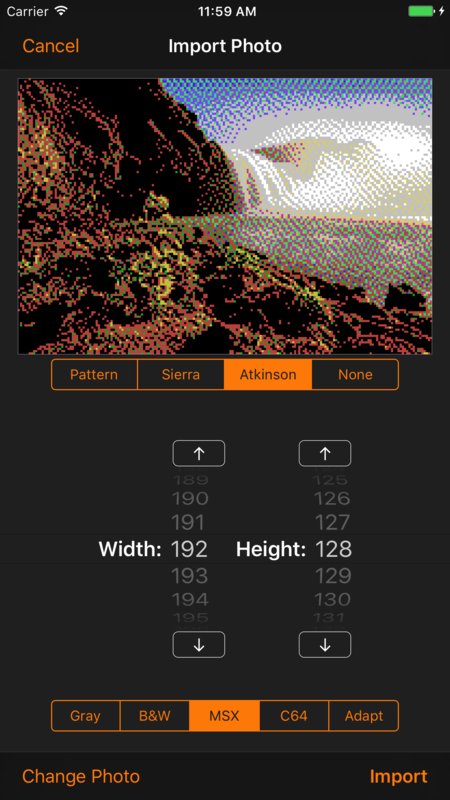 Place every pixel on a grid or cover a large swath with your finger. 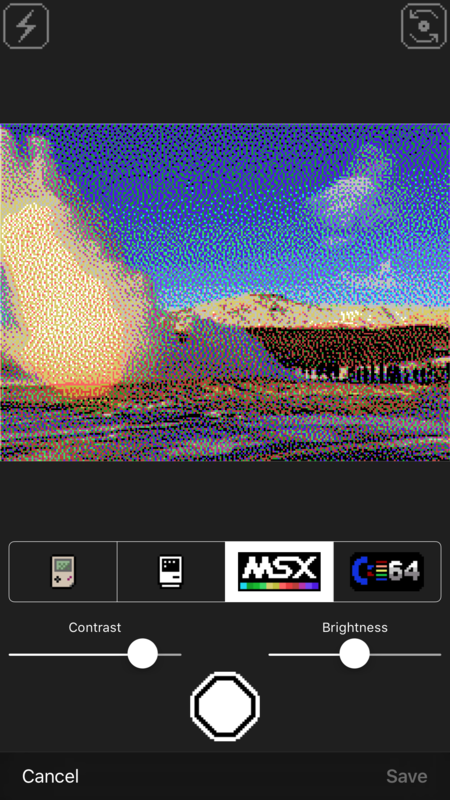 Select from 5 different color palettes and 4 dithering modes. Customizable color palette. 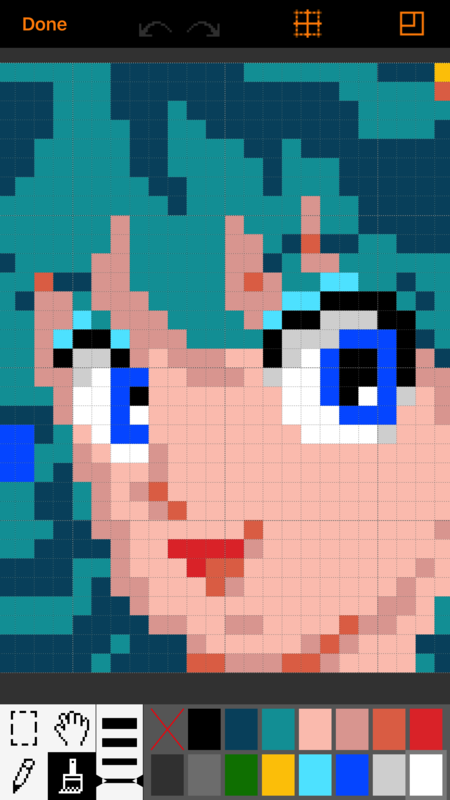 Pixel Paint includes indexed color with up to 16 colors. 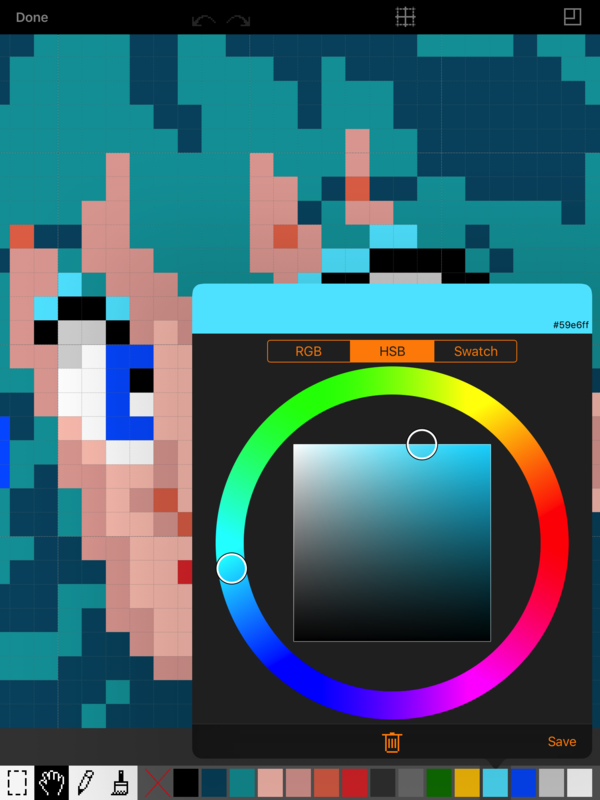 Customize colors using RGBA, HSB, and Swatch color pickers. Retro camera modes. 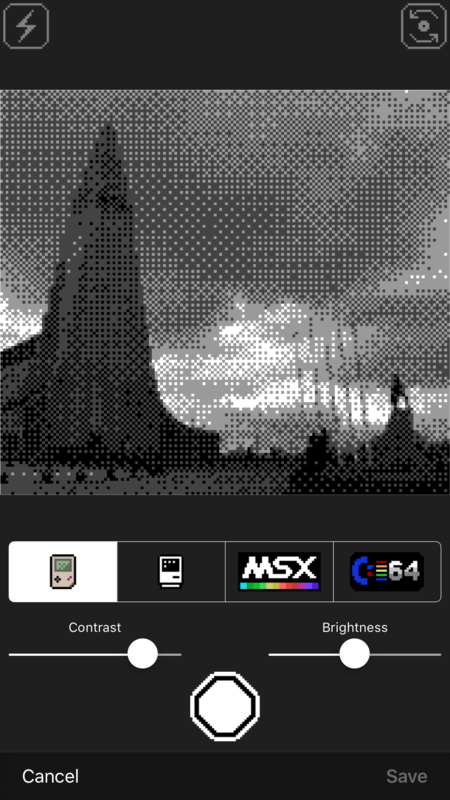 Shoot photos in game system camera modes including Commodore 64, MSX, Game Boy, and original Macintosh styles, with brightness and contrast controls. Painting: Use one finger to paint with the selected color. Pan/Zoom: Use two fingers to pan and zoom. 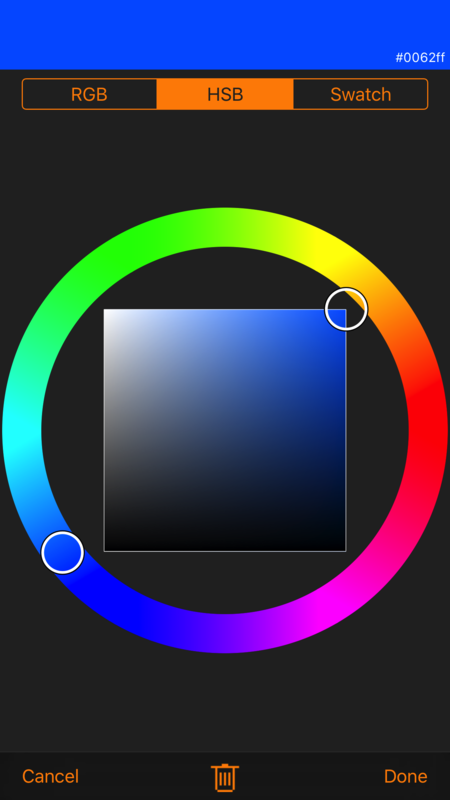 Color: Double-tap a color at the bottom of the screen to edit it using the RGBA, HSB, and swatch color pickerss.